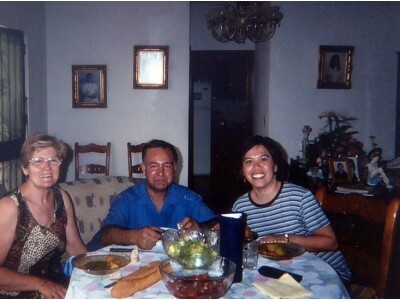 Stay with a Spanish touches family although not come only. If you want to live with a Spanish family, but you aren´t coming alone. You will have the opportunity to learn about our traditions and gastronomy up close, sharing room with your companion. Half board or full board? Do you pay for your companion's accomodation? if not, he/she will have to book for themselves. Do not forget to write your companion's name into the text box below. Alergies or other special needs? Do you mind pets at home? This type of accommodation enables you to live with a Spanish family and therefore you can practise your Spanish and experience Spanish customs and food first hand.